One of my favorite comfort foods is Mexican. There seems to be no shortage of options in Jacksonville and I have tried quite a few around the city. I have favorites in different areas of town and the best that I have found in my area of Mandarin is Don Juan’s. This family-owned restaurant has been serving up delicious comida since 2004. The restaurant is large and tends to be filled with the sounds of family and friends chatting. I choose to sit in the restaurant area most times over the bar (happy hour Monday-Friday 4pm-8pm! ), but you have the option to do either. We are greeted almost immediately with a basket of chips and dig in like Joey Chestnut on 4th of July. In my opinion, overdosing on chips and salsa is part of what makes Mexican food comfort food. I think Don Juan’s salsa is some of my favorite. You can taste the freshness of the tomatoes, cilantro, and lime. I am a guacamole fan and always order a side ($3.25) with my chips in addition to requesting some of their homemade hot sauce. With all the other food we plan to order, the smaller portion of guacamole is much more manageable than the appetizer. 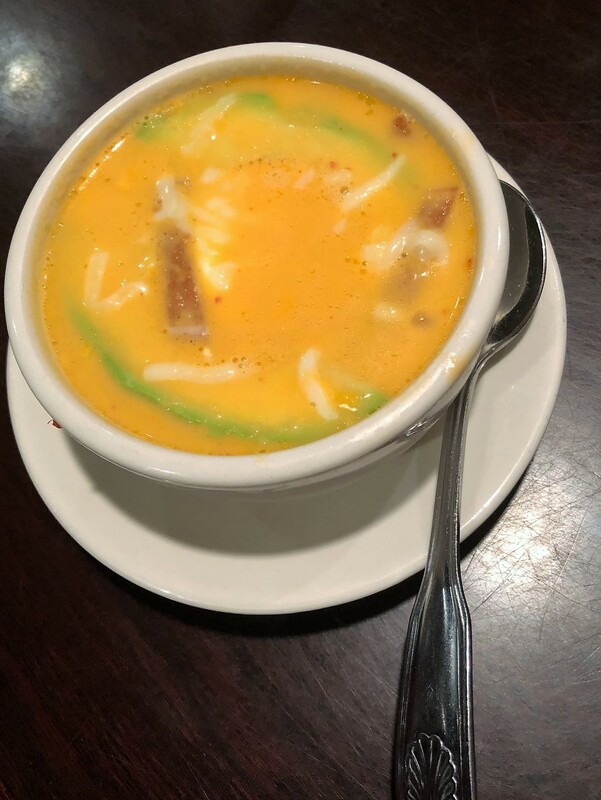 On every visit to Don Juan’s I watch a constant flow of queso with chorizo come out of the kitchen. Although I am not a queso person, it seems to be extremely popular if you enjoy it. 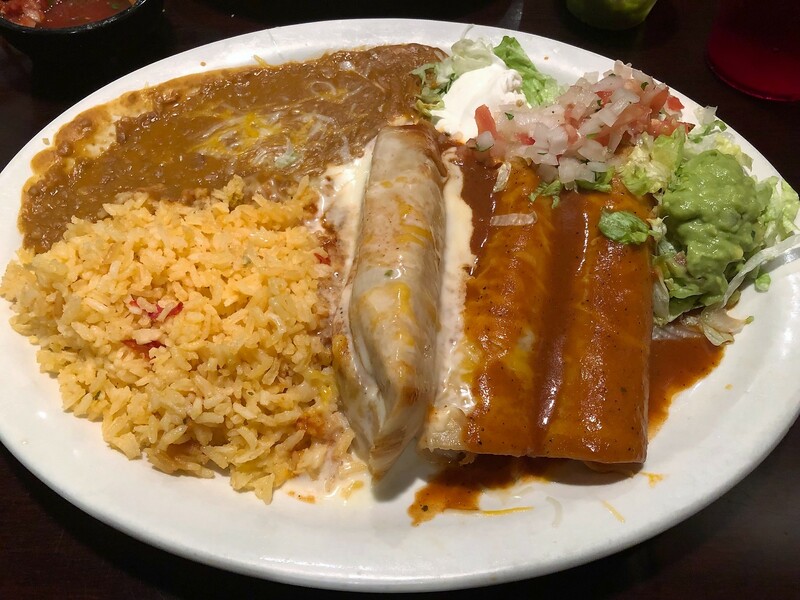 Don Juan’s has an extensive menu, including great lunch specials. On this visit, we decided to try a cup of their chicken tortilla soup ($4.99) to start. The broth was rich, seasoned with a mix of chilis and cumin. There was a lot of cheese melted in, balancing the spice and making for a creamier soup. There was no lack of chicken in the bowl; in the Seinfeld debate of whether soup is a meal, one point for meal. One of the things I love about their menu is the dinner combinations since I can have a little bit of everything. I ordered dinner combination #7: 2 enchiladas and 1 tamale ($13.99). I always ask for both enchiladas to be chicken and the tamale pork. My husband ordered from the a la carte Taco menu, another great feature of the menu. He chose one al pastor ($3.35) and one carnitas ($3.35) and got a chile poblano relleno ($4.99) on the side. The food arrived quickly as always and was extremely hot (they tend to wear gloves carrying it out). I was amazed at the amount of food they were able to fit on to the combination plate. The enchiladas are simple, stuffed with shredded chicken and topped with a classic red enchilada sauce. The star for me is the tamale. The pork filling is flavorful, the masa is tender, and the sauce and cheese on top put it in my top 5. I do my best to finish the plate but wind up with a to-go box every time. Both tacos had a heaping pile of meat and are served traditional style with just onions and cilantro. 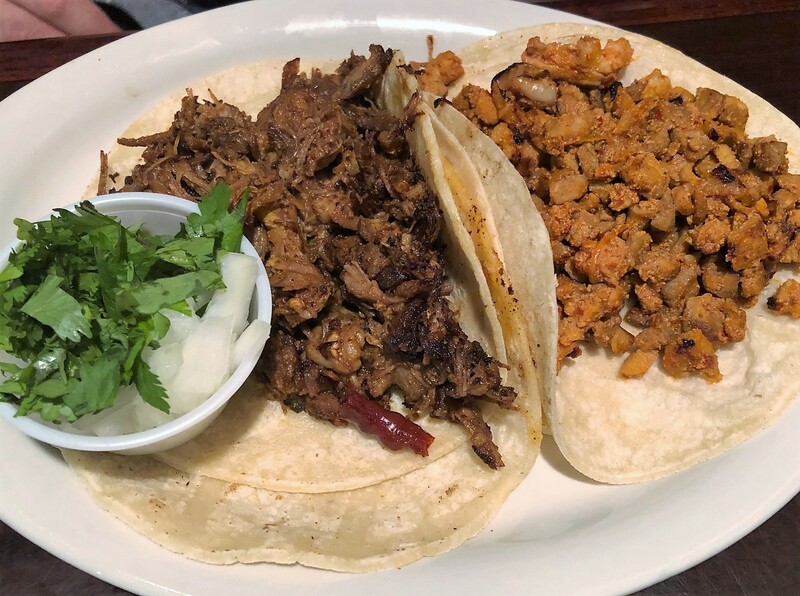 If I had to choose a preference, it would be the carnitas. The seasoning on the pork had hints of cinnamon and the meat was crisped to give it extra texture. Last, the side of chili relleno. If you are a cheese person, this will speak to you. Not only is it topped with cheese but stuffed with it also. 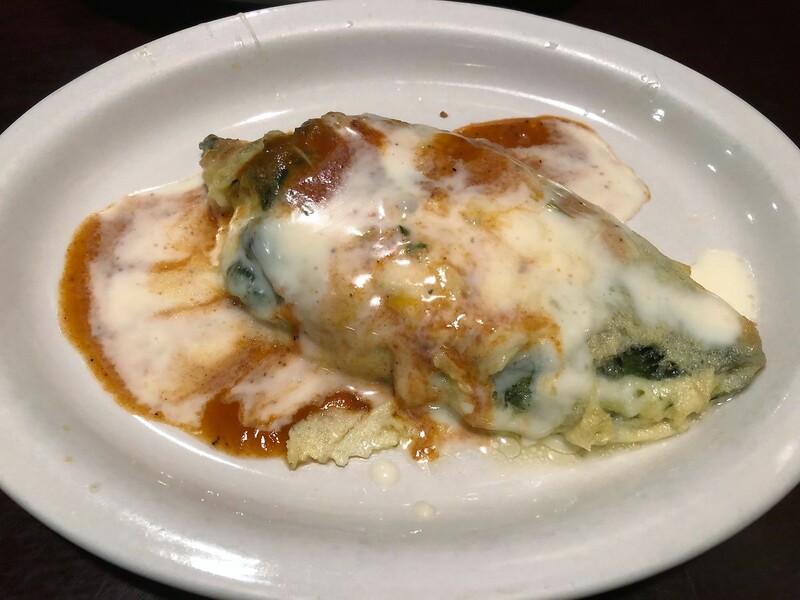 A visit to Don Juan’s always hits the spot. The food is plentiful, consistently fresh, and fast. Of all the Mexican restaurants I have tried in Mandarin, this one tops my list. Tagged affordable, Alcohol Serving, Casual, Dinner, Family Friendly, Full Bar, Gluten-Free Friendly, Good for Kids, happy hour, lunch, mandarin, mexican, table service, tacos. Bookmark the permalink.